Sad End of the Viva Global Dispute: Dead End of Institutional Trade Union Struggle? This doesn't say anything other than a headline. Wonder if any contacts in India know what's happening. 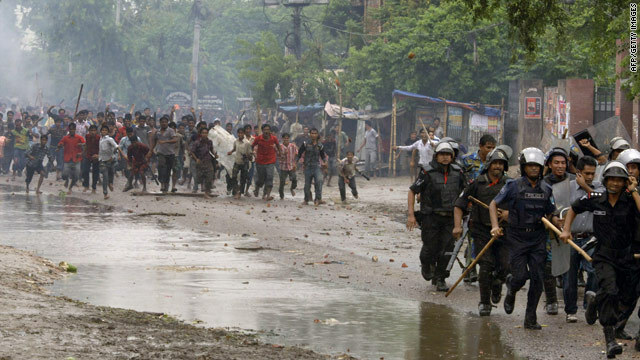 On 1st of February 2011 – while riots rocked the Kasbah and downtown Cairo – around 150,000 young people arrived in Bareilly, near Shahajanpur in Uttar Pradesh, India. They came in order to apply for 416 vacancies at the Indo-Tibetan Border Police (ITBP). Facing the enormous mass of applicants the local administration called off the hiring procedure. The angry youth started smashing the place up, burnt cars, pelted government and media buildings. The trains heading home were overcrowded, people had to sit on the engine and wagon roofs. Crashing into a bridge more than a dozen young people died. Desperation and anger of the youth spreads from the ‘illegal’ vegetable markets of Tunis, to the Parisian banlieus, to the textile industrial suburbs of Mahalla… across this world of widening contradictions between what is and what could be. @Sam - I updated your comment to allow the video embed.